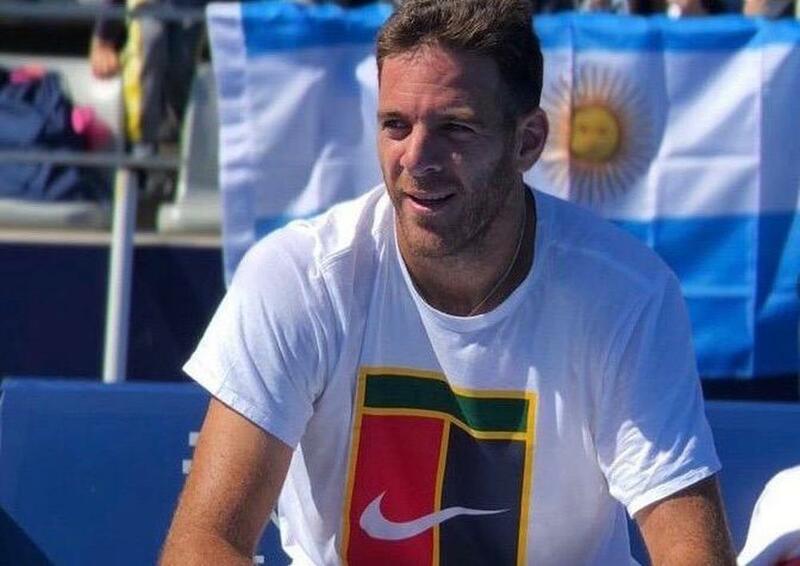 A smiling Juan Martin del Potro has offered a positive update on his recovery from a knee injury. Juan Martin del Potro is back on court just two months after suffering a fracture to the patella of his right knee. The luckless Argentine missed the ATP Finals in London last month as a result of a fall during his third-round match against Borna Coric at the Shanghai Masters. "I wanted to tell you that I'm already playing tennis two months after the fracture in the knee, I'm doing it very slowly but I'm already moving here on the court which is where I like to be." "I wanted to tell you this news and thank you for the support you always give me. I send you a big hug." Del Potro finished last season fifth in the rankings after winning two ATP World Tour titles and was beaten by Novak Djokovic in the US Open final.